“It is not necessary to read Smith’s Autumn before her Winter; while the two books share a philosophical style and a playfulness with words, they don’t concern the same cast. . . . Winter pays frequent homage to A Christmas Carol. . . . [Smith] spins a fine story. . . . Winter is a stunning meditation on a complex, emotional moment in history. 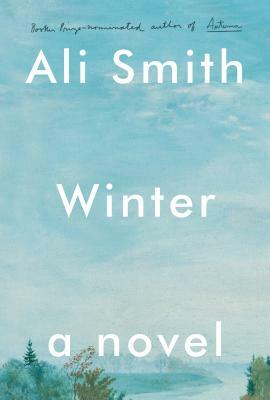 “Ali Smith is flat-out brilliant, and she's on fire these days. . . . [Winter] demonstrates yet again Smith's skill at revealing surprising relationships between seemingly disparate narrative threads. . . . You can trust Smith to snow us once again with her uncanny ability to combine brainy playfulness with depth, topicality with timelessness, and complexity with accessibility while delivering an impassioned defense of human decency and art. . . . Once again Smith has balanced darkness with light, bleakness with hope. “[A] seasonal quartet through which British novelist Ali Smith is writing a classic, one mind-blowing installment at a time. . . . The stunningly original Smith again breaks every conceivable narrative rule. . . .It demands and richly rewards close attention. . . .
“Winter is typical of the Scottish writer’s heart-starting (and often heart-stopping) fiction­: all spark, lark and jumper-lead, playful, witty and gloriously challenging. . . . Balancing delicious and irreverent playfulness with deep seriousness, Smith’s engineering of tone and mode is one of many facets of the novel’s appeal.